The Buffalo Sabres and NY Rangers in the 10th Anniversary NHL Winter Classic is awesome. Although it would have been even better if the Classic came back to Buffalo as the whole idea for it emanated from former Sabres president Larry Quinn, having it in the Big Apple makes for a prime-time show even if it's at Citi Field and not at Yankee Stadium, who hosted a Stadium Series game back in 2014. Scheduling the Sabres to play in the 10th Anniversary of the NHL's preeminent outdoor event at this point in time seems to be more of an obligatory nod to Buffalo's hand in the creation of the event then a pick based upon showcasing the sport using two premier teams. The Sabres didn't exactly have the greatest of seasons in 2016-17, finishing 26th in the league, and are presently without a general manager and head coach. Buffalo has marketable players in Jack Eichel and Ryan O'Reilly, but their supporting consists of hits and misses so far. Meanwhile the Rangers are coming off of yet another post season of disappointment as they were just ousted by the Ottawa Senators last night on home ice. Despite the loss and the fact that they're aging from the blueline back, the Rangers are always in it and there's no reason to believe they won't be back in the mix next season. However, it's on come January 1, 2018. For Sabres fans willing to take the jaunt, those with season tickets will have the option to buy tickets for the game as it's considered a home game by the NHL schedule-makers. Why it's a home game is certainly questionable as the "home" team will be travelling close to 400 miles while the "away" team could walk to City Field, but who are we to question the wisdom of the NHL. Right? Two other second round playoff matches will end this evening as the NHL has a Game-7 doubleheader on tap. The first one, has the Pittsburgh Penguins in Washington DC to take on the Capitals while the Edmonton Oilers will be in Anaheim to take on the Ducks in the night-cap. And for the Sabres, this could/should mean the official end to their GM search. Penguins associate GM Jason Botterill has long been rumored as the choice but the announcement has been delayed due to Pittsburgh being in the midst of a second-round playoff match. Botterill has been credited with helping put together two Stanley Cup winners in Pittsburgh while pulling off a high-wire act on the NHL's salary cap. 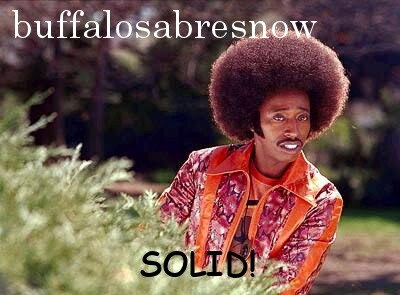 With the amount of work to be done, it would behoove the Sabres to get their new GM in as quick as possible. Botterill, if hired, has the upcoming expansion draft to prepare for, followed by the NHL Entry Draft and in less that eight weeks the start of free agency. He'll have 20 free agent contracts to decide upon as well as decisions on entry-level contract for previous draft picks. In addition, three principal players will be heading into the final years of their contract. Eichel and fellow second-overall pick Sam Reinhart will be finishing up their entry-level deals while Evander Kane will be in the final year of a six-year deal he signed back in 2012 with the Winnipeg Jets. All three were top-five producers in one category or another for Buffalo last season. Plus No. 1 goalie Robin Lehner is a restricted free agent as well. And there's this little thing about bringing in a head coach as well. Welcome to the world of running your own team. Botterill may end up bringing in Rick Tocchet as the Buffalo's coach, which would lighten the load a little bit. He'll still need to do interviews with other head coaching candidates and there are some young hot commodities on the market but Botterill knows Tocchet from having worked with him in Pittsburgh for nearly three years. Whether the Sabres go in the direction of the Buffalo Bills, who now have two former Carolina Panthers as GM and head coach, remains to be seen, but Botterill, or whomever ends up being GM for the Sabres will have a pretty hectic schedule this off-season. We know Rick Tocchet was a helluva player who could both score and wreak havoc. We also know that he's respected as an assistant coach. We also know that having a checkered past, has never stopped any pro team from bringing in the person they want. Tocchet seems like a no-nonsense guy with plenty of knowledge and experience who should get the respect of his players, at least at the start. On the other side of the spectrum we have two potential first time head coaches in Phil Housley and Jim Montgomery who certainly know how to coach, at least at the lower levels, as they've won championships. Housley lead the Team USA to the gold in the 2013 World Junior Championships while Montgomery's Denver Pioneer's won the 2017 NCAA National Championship. Both have proven to have extensive knowledge and solid experience on the coaching side of the equation. But will either get enough respect from players to allow their coaching acumen to shine through? That's the conundrum the Sabres are in right now. With the tumult the team just went through in 2016-17 the incoming coach will not only be putting his stamp on the X's and O's aspect of the team, he'll also be juggling a diverse set of ego's that clashed in Buffalo last season. Knowing how to handle everything from alpha-male Eichel, to a reserved Reinhart and all points in between is nothing to be taken lightly. Players aren't stupid. They can smell a phony or incompetent from a mile away. I like the idea of Tocchet in that I believe he'll get the full respect of the locker room, which may be the most important aspect of the job right now, but his stint in Tampa as their head coach was meh, at best. Montgomery had his Denver Pioneers playing fast, aggressive hockey that overwhelmed their opponents. 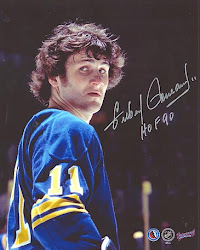 His style would fit perfectly in today's NHL. I also really like what Housley has done as an assistant in Nashville with his mobile Predators. With his Hall of Fame career as a player and how he's worked his way up the ranks, I am of the opinion that he should be the front-runner for the Buffalo head coaching job. But first things first, an announcement tomorrow as to who the new Sabres general manager will be. Could Marc Methot be on the market? Crazy 8's and the Pegula's clean house again.